Tools from chisel to cut pavers are your essential gadgets which you rely on for quick fixes. However, are you taking care of them lest they don’t lose their shine? Here, we reveal the TLC (Tool Loving Care) mantra to store your tools such that they sustain their life-long luster. How to store tools such that they don’t catch rust? Rust is the biggest enemy of any DIY toolkit. And what are the primary causes of rust? Humidity and water Rust leads to permanent damage of your tools. To prevent such mishaps, proper storage of tools is necessary. Storing your tools in cold or humid spaces like garage or an open space is an invitation to rust. Also storing tools in metal boxes is a no-no. 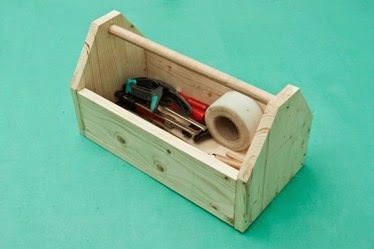 Instead, store your tools in wooden boxes. Wooden boxes rightly support the TLC (Tool Loving Mantra) for efficient storage of tools. Wooden boxes are ideal materials for tools’ storage as they maintain heat and prevent tools from catching rust. The good quality ones are also well-equipped to keep the water at bay. Suppose your tool gets wet. Don’t worry. Just ensure you wipe them dry with a towel. Leave the tool somewhere warm and nice so that all its moisture is absorbed. This completes our TLC mantra. Tools become useless once they lose their edge. Give your worn-out tools the required edge by investing in sharpening stones. 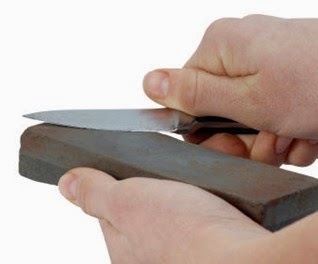 Sharpening stones scrapes off the worn-out outer surface, giving a new, sharper blade. Finding it difficult to store too many tools in your garden or garage? Head over to Storage in Abu Dhabi where storage starts from few dollars a month.